Samsung’s Tizen-based smartphone was expected to launch sometime between now and August but there’s been a delay according to reports. We’re now hearing that the first Tizen handset could debut at the IFA trade show in September with a launch coming sometime during the fourth quarter. Sources say the delay is related to Tizen’s app store. The Tizen alliance has been working at a feverish pace to get developers to build for the platform, even hosting hackathons and related events over the past few months. Even still, however, the new OS will be way behind the competition when it launches. If you aren’t up to speed, Tizen is a mobile operating system under development that will eventually be used by smartphones, tablets, smart TVs, netbooks and even in-vehicle entertainment systems. Samsung hopes that having their own operating system would give them more control over their devices and reduce dependence on Android. It comes at a time when Samsung’s most popular products like the Galaxy S3/S4 and the Note line are all running Google’s operating system. 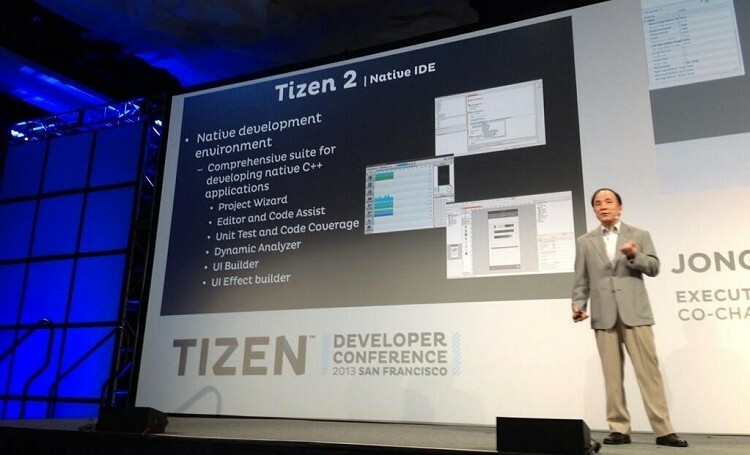 Handsets running Tizen are expected to be high-end in nature, at least initially. Whether or not it can make a ripple in the well-established mobile market dominated by Android, iOS and to a lesser extent, Windows Phone and BlackBerry 10 remains to be seen. Having direct support from Samsung will certainly help but as we have seen with Symbian, a high-profile handset maker on board still isn’t a given.